A 2.5D platformer made in XNA (C#). 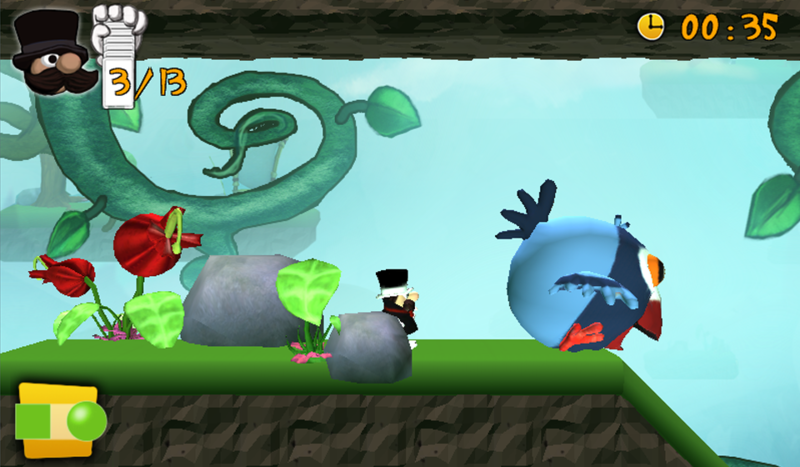 You play as a magician who was trapped in his own hat. The animals within are mad at you, and you need to alter them to get back out. Gameplay programming by Korneel Guns. Menu, HUD and additional gameplay programming by Dieter Vanhooren. Art by Filip Van Mieghem and Kristiaan Renaerts. - Multiple enemies that can be influenced in many ways: Make them round/square, heavy/floating, big/small and any combination of these to progress through the levels.